The information, views and opinions expressed on this social media site do not represent official information or the views and opinions of the author unless the message is issued directly or approved by authorized officers of the author. Disclaimer: It is illegal to reproduce Hunter photographs or other copyrighted material without the express written permission of the company. When used and/or reproduced, photos must be accompanied by the credit line: Photo courtesy of Hunter Industries Incorporated. Hunter photos may not be used in association with copy, logos, or other graphic elements that represent other manufacturer’s products. The recipient must follow these conditions. This includes using appropriate photo credits and providing a copy of any final printed piece to the Hunter Branding Department. If Hunter images are used on a website, those pages need to be approved by the Branding Department prior to being posted on the web. Similarly, if our images are to be used for billboard advertising or truck marking, Hunter must approve the design prior to final production. Do you agree? By clicking on the links, you are agreeing to the terms and conditions. All images must say “Courtesy of Hunter Industries” either within or next to the image. 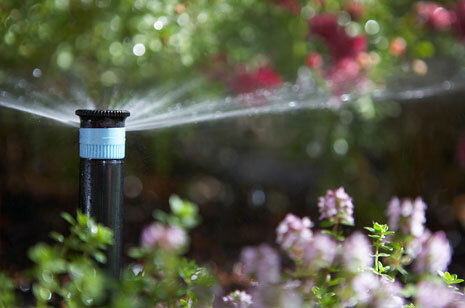 Please contact us with any assitance you might need with your residential, commercial or agricultural irrigation project.